I would like to thank Mohamed and Haytham for all of their hard work on and off the mountain. 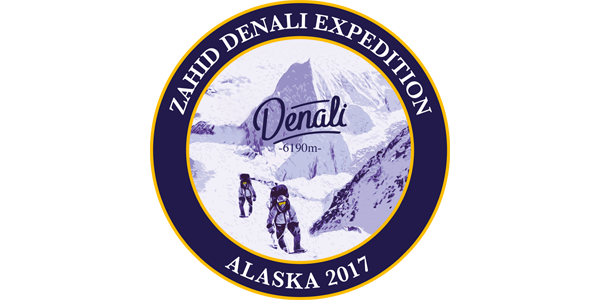 Both of them put in countless hours of intense training in order to be physically and mentally ready for the challenges of climbing Denali. Sometimes things happen in the hills and we can’t achieve what we set out to do. It’s a true (and sometimes harsh) reminder that we are not in charge out there…the mountain lets us climb it when the time is right. I learned a lot from both of them and consider myself very fortunate to have spent this time with them. I have no doubt we will be back to give it another shot! I would also like to extend my thanks to Ross Mackay who worked very hard (in frigid conditions) to get some amazing pictures and video from the trip. It was a pleasure being out there with you Ross! And finally to Jesse and Eli, our American hosts. Thank you for all of your hard work throughout the trip.